Sushi for dinner at Sushi Maro Japanese Restaurant in Yaletown on March 21, 2012. Before hitting up Fashion Week, Sophia, Ange, and I popped into this sushi eatery next door to Opus Hotel for a quick, casual dinner. 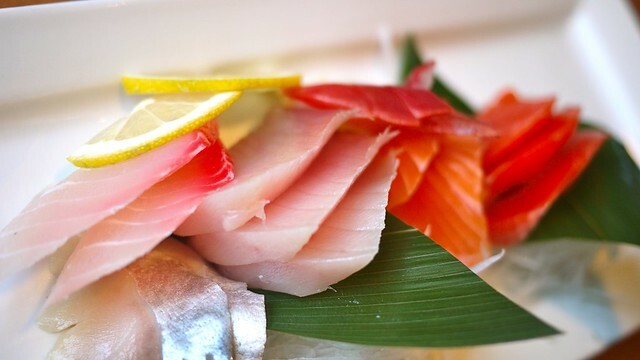 The sashimi was pretty fresh and tasty. The overall eats were pretty decent. I was surprised by the diverse menu and overwhelmed by the options, both traditional and unique. The maple roll with prawn, chopped tuna, jalapeño, mentaiko, tobiko, and aburi salmon on top was particularly scrumptious. 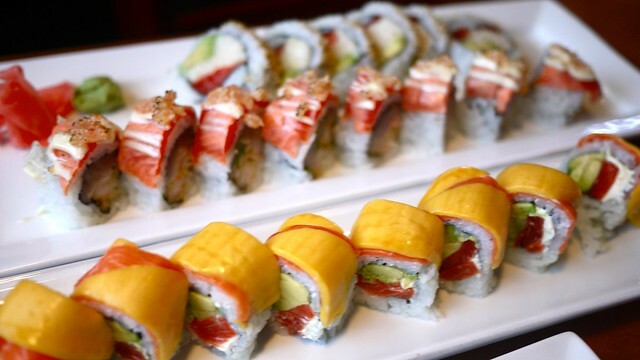 I was partial to the Hawaii roll with salmon, avocado, cream cheese, smoked salmon, and mango on top. 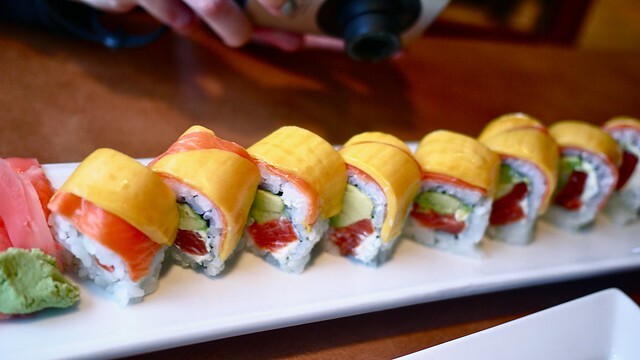 The Alaska roll was fairly standard in a good way. 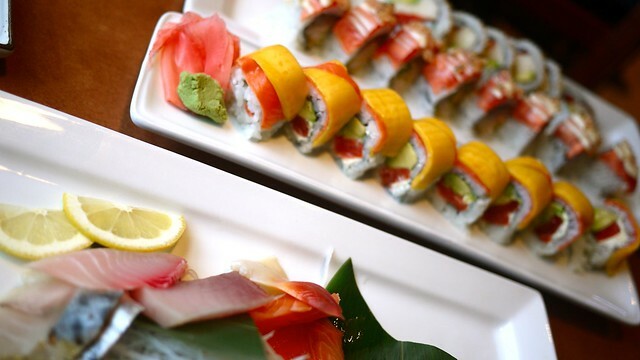 I was quite satisfied overall with the quality at Sushi Maro. 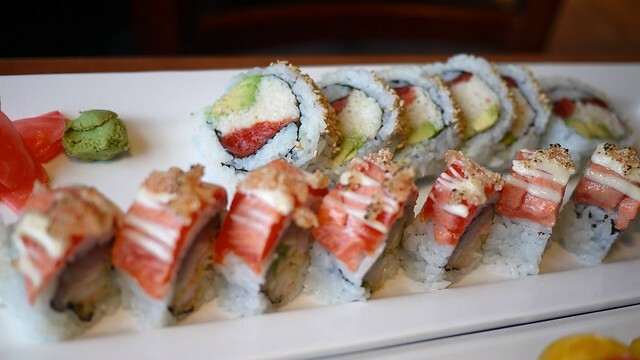 Their dishes and rolls were solid and offered a good variety. While nothing particularly outstanding, I thought it was quick, convenient, well-priced, and I'd definitely return.